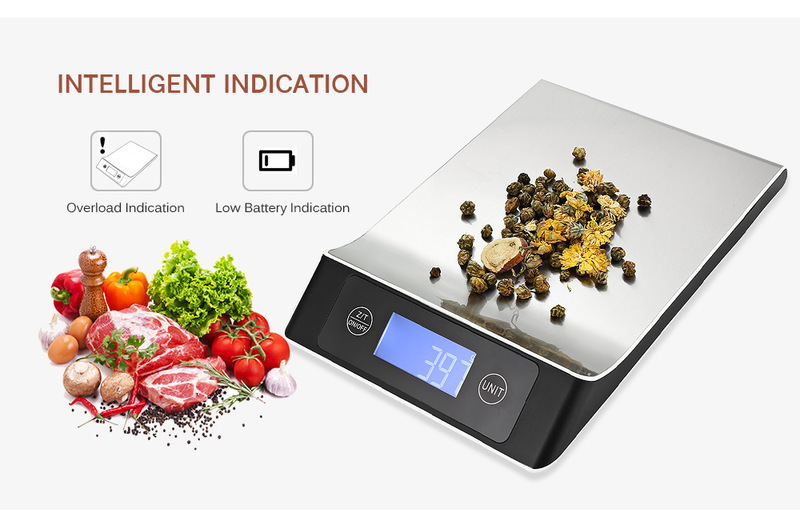 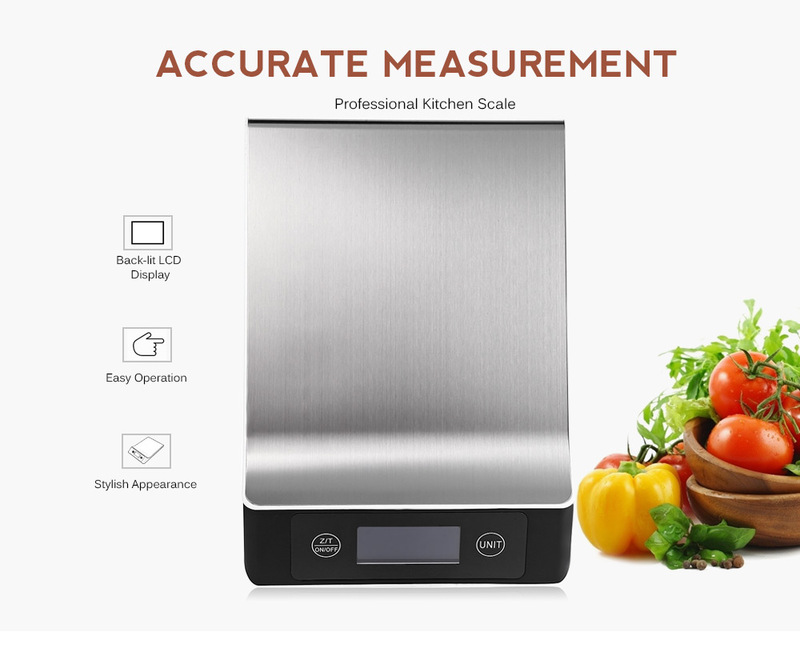 This scale features a handy auto-tare function to easily measure ingredients in a dish without having to do any math. 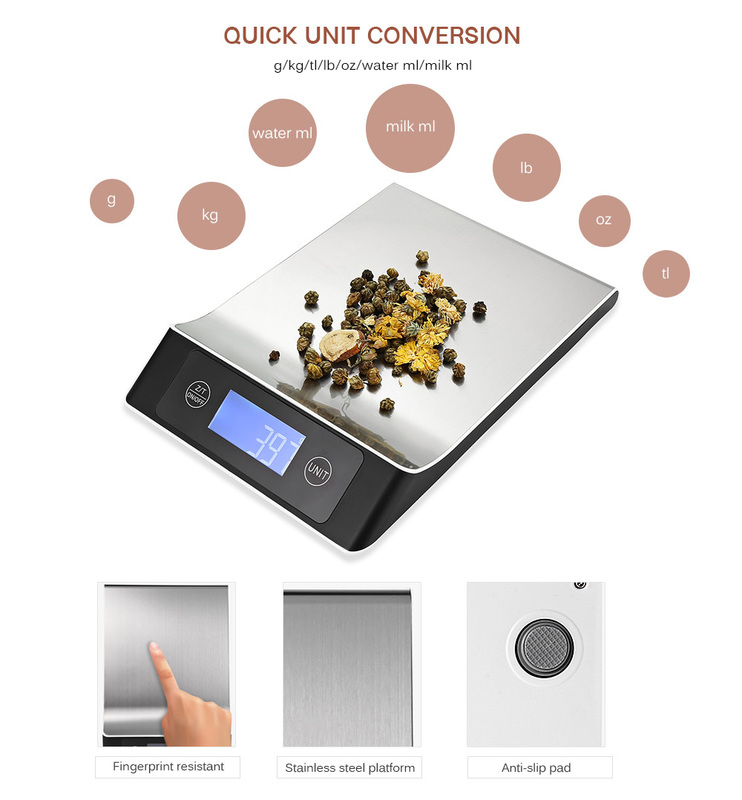 You are able to quickly and accurately weigh your ingredients to ensure healthy portion sizes and follow recipes. 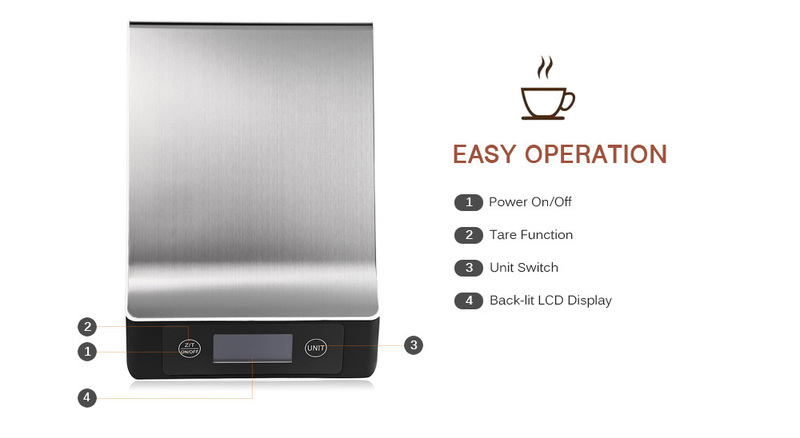 Designed with a smooth stainless steel platform for easy cleaning and maintenance.